I found this recipe in my Facebook news feed, on a fine summer after noon. I had some extra blueberries and strawberries, waiting to be rescued,in my fridge. 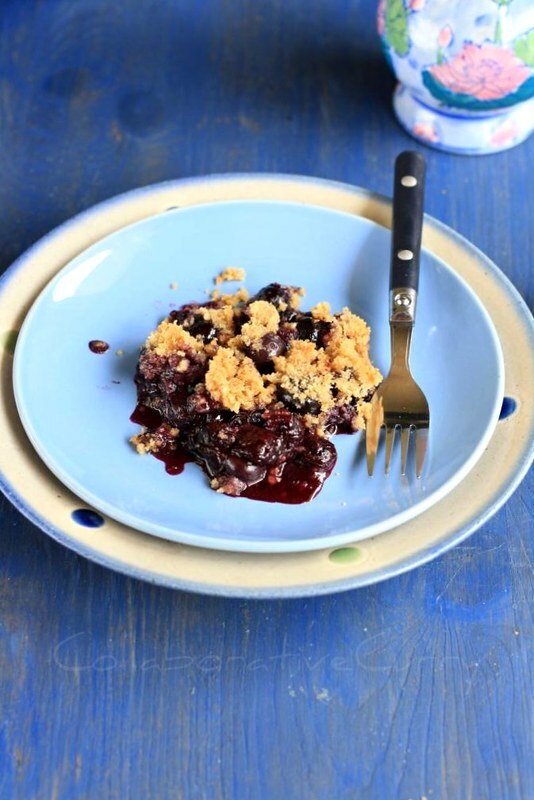 So I clicked through the link, Saveur magazine had on their Facebook fan page, with a title, 'summer berry treats'. 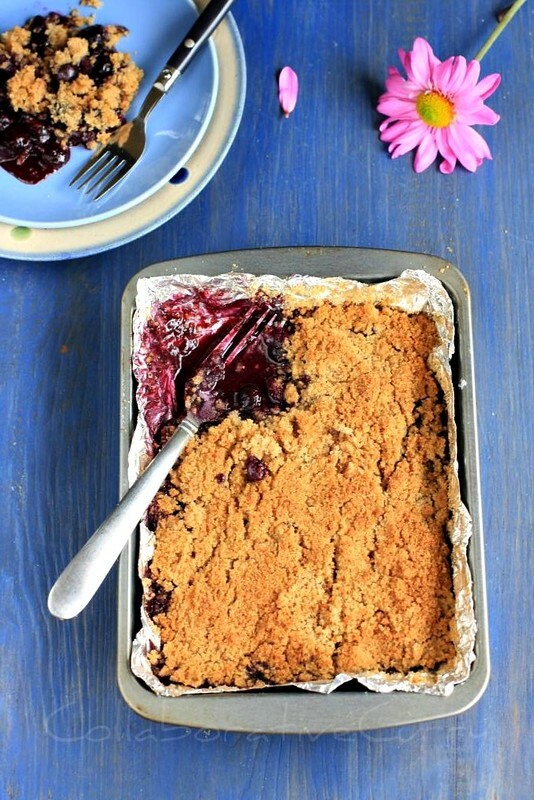 This easy blueberry crisp caught my attention and I was in my kitchen, in no time, to bake it ! I took my decision based on a few factors. First of all I didn't want to throw away those berries in my fridge,in fact I hate throwing away any food at all.The recipe is super simple and easy with an ingredient list that anybody will have in their pantry.And yes,I know my family loves fruits in baked goodies.This is a keeper recipe and I have baked this crisp a few times after that,whenever I wanted to make a dessert in jiffy. Trust me, your kids will love this. First time when I baked I followed the original recipe. After getting feedback from my family members, I changed the recipe to fit my family's taste and needs. I reduced white sugar and added more flour,since they like to bite into the crispy topping of this. In my first attempt I used whole wheat and all purpose in a 1:1 ratio,then I found out the ratio I have given below works better.This is slightly different from the usual crisp recipes because this doesn't use corn flour and oats. It is almost fall,I know. But still we get a lot of berries in market and I thought I should post this soon. Hope you will enjoy this as much as my family did. 1.Preheat the oven at 350 degree F.Prepare a 9 by 11 inch baking pan by spraying well with oil/butter. 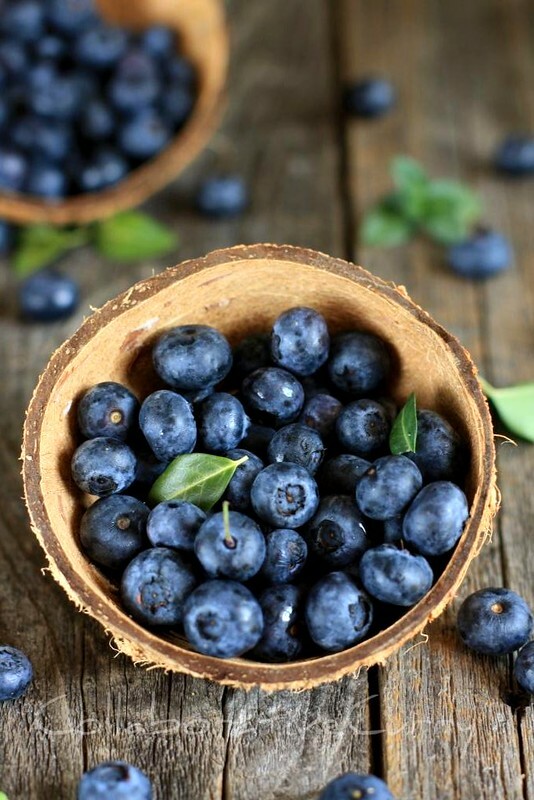 2.Wash and stem blueberries and pat dry on a paper towel. 3.Toss the berries with granulated sugar and keep aside. 4.Combine flours,salt and brown sugar. 5.Using 2 forks, cut cold butter into pieces in the flour mixture and mix until it resembles coarse meal. 6.Transfer the berries into prepared pan and spread evenly. 7.Sprinkle flour mixture evenly on top of berries. 8.Bake for about 40-45 minutes or until top started turning brown. 9.Cool for at least 10 minutes. 10.Serve warm with vanilla ice cream or whipped cream spooned on top. 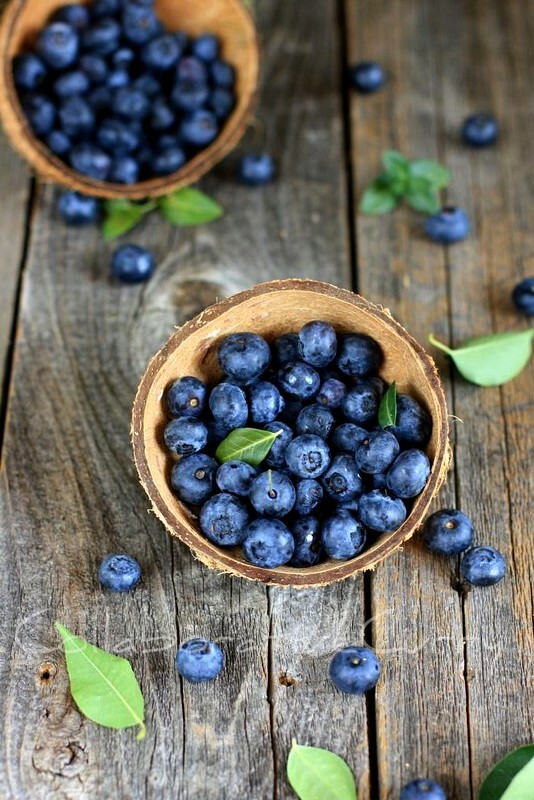 1.I have tried this with strawberries and also a combination of blueberries and strawberries. They all taste good. Replace the berries with your favorite fruit. 2.I used more flour than mentioned in the original recipe, because my family prefers it that way.For 3-4 cups of berries, you could use less than 3/4 cup of flour and 6 Tbsp butter. 3.I have also tried this with only whole wheat and also whole wheat plus oats.All these works well and tastes great. Tempting clicks,looks so yummy,will surely try this,bookmarked. Such a shame the bluberry season is over, well we still get them only small boxes, the big boxes are all gone, i am bookmarking this for next year. I loved all your compositions so dearly Namitha.In fact I most often run to see them..And yes the recipe sounds truly tempting..Your berries look fresh and tempting as well. Namitha! This looks and sounds delicious! Wow, feel like having some rite now. What a healthy scrumptious treat it is...but no fresh blueberries here..have to make do with local berries. Chocolate Overdose Cake and 3rd Anniversary !